Hello - are these single or double wall? These are single wall rims. 32 Or 40 Hole Rims? I see that you have an impressive choice of 2 different brands of 36 hole ISO590 rims, and I have the Ambrosio ones on my 1980 Triumph. I was wondering whether there was any way you could supply 23 or 40 hole rims in this size for caliper brakes? I believe a company called Sun makes them, but they all seem to be distributed in the US and have horrendous shipping costs. I need new rims on my 1957 Raleigh and I really don't want to use cheap steel ones from India. Unfortunately these are the only rims in this diameter that we're able to get hold of so we would not be able to supply a 32 or 40h option instead I'm afraid. Can You Please Tell Me The Erd Of This Rim? 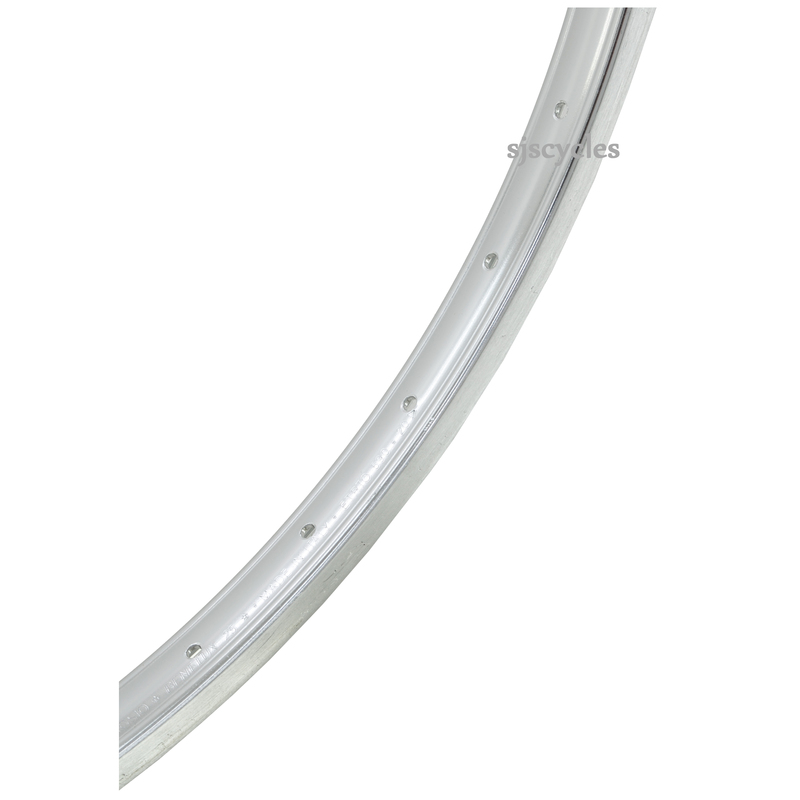 The ERD of this rim as measured by us is 584mm. Hi, are these rims aluminium alloy or chrome plated steel? These rims are made from Alloy rather than Steel. Is This Rim Suitable For Rod Brakes? If not, do you offer such a rim? This rim is not suitable for use with rod brakes I'm afraid. The only rims we have that are suitable for rod brakes are some of the old Westwood rims, but there are only in certain sizes and no this particular one I'm afraid.